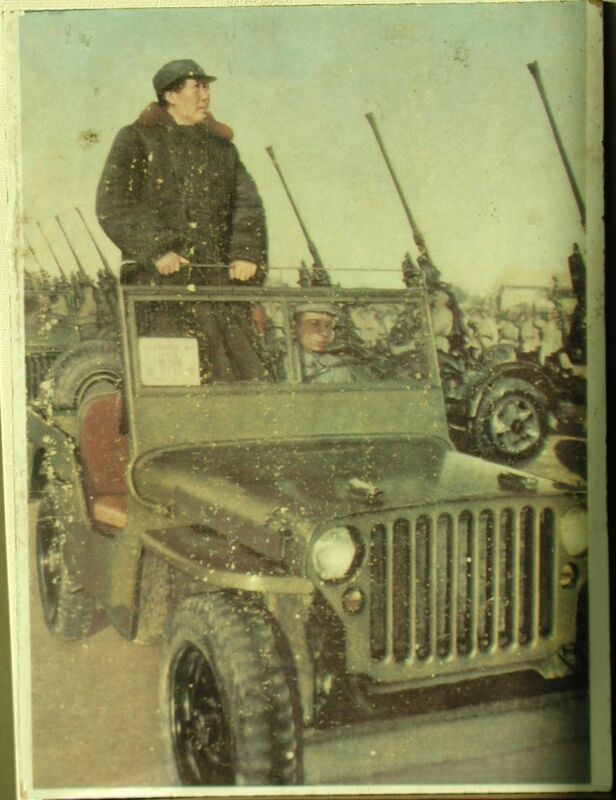 This is a very unusual piece with a young Mao Tse-tung inspecting artillery pieces in an American jeep - placing this photo from likely prior to the founding of the People's Republic. 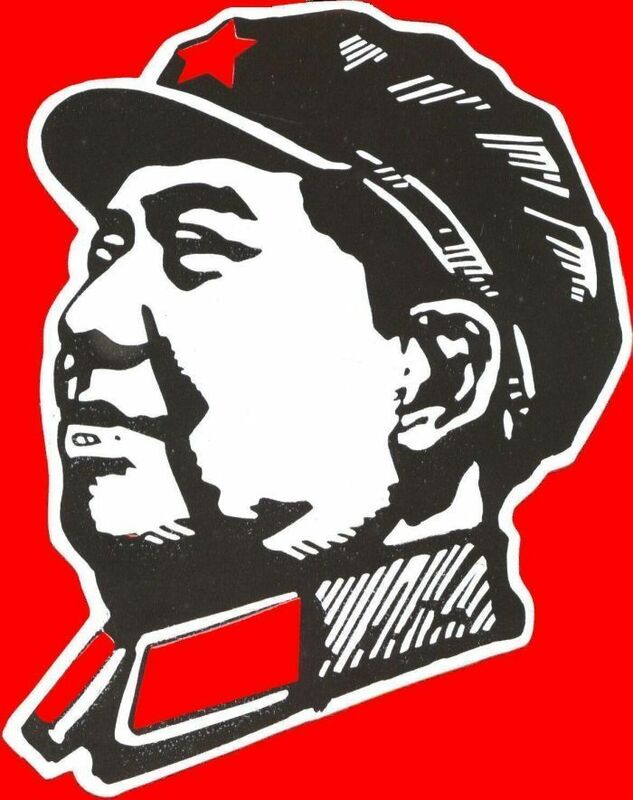 American military supplies were given to Stalin during WWII which were then given to the Chinese communists in the mid/late 1940's. The tile is Cultural Revolution era or earlier - we are told this tile comes from a factory that was recently torn down, and we have not seen this before. The tile is 25cm (10 inches) high and 34cm (13.25 inches) wide.